Verizon employees are in for a treat in the form of a limited-edition cell phone. 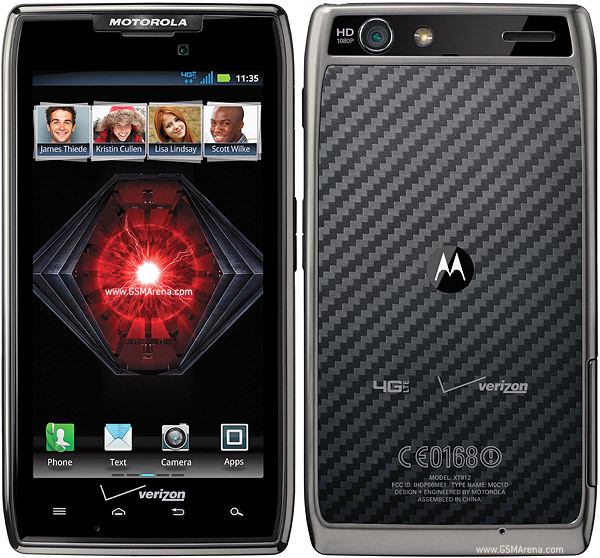 According to Android and Me, Verizon employees are being offered the option to buy limited-edition versions of the Droid RAZR and Droid RAZR MAXX that will only be made available to Verizon employees. So, what makes the phones limited-edition? The employee-only version of the phones will come with a red and black back, along with the devices number and the production run of the handset. The front of the phone will also have “Limited Edition” engraved on it, just so everyone knows you’re rocking something slightly more awesome than the traditional run-of-the-mill model. Verizon employees will be able to score the 16GB Droid RAZR for $99, and the Droid RAZR MAXX for $199, with both coming with a free multimedia dock as well. What do you think? How long do you think it will take for these to start showing up on eBay and Craigslist? During the Consumer Electronics Show earlier this year, Intel announced that it was partnering with Motorola Mobility to launch the first Intel-powered smartphones. Now, a leaked image fromPocketnow suggests that Motorola Mobility not only has an Intel-powered smartphone in the works, but also one powered by Android 4.0 Ice Cream Sandwich. The device will no doubt be important for both companies. Motorola Mobility has yet to launch an Android Ice Cream Sandwich device and Intel desperately wants to gain share in a mobile market dominated by Qualcomm, NVIDIA, Samsung, Texas Instruments, ARM and others. So far, we’re digging the thin design and the metal accents even though the phone looks a bit similar to the Motorola DROID RAZR and DROID RAZR MAXX, save for the touch-sensitive buttons at the bottom of the display. Unfortunately, the device still doesn’t have a name and it’s unclear what kind of specs it will offer. It is possible we will hear more during Mobile World Congress later this month but we have a feeling that might be too soon for an announcement.